“The first thing I’d say is, I’m a little baffled why China reacts strongly in some cases and not others,” Glaser said. In this particular case, she noted, the two land features near the Gaven Reef involved in the freedom of navigation operation (FONOP) are small and not among the significant bases China has built in the South China Sea. Plus, these features are considered high-tide elevations, which the U.S. does not dispute– meaning Decatur would have conducted what’s called an innocent passage. The Navy has not commented on the incident beyond a limited statement released Monday, and did not address what the ship was doing as it conducted the mission and whether it was an innocent passage or not. “All they did was sail through what (China) would consider territorial waters, and yet (the U.S. Navy) got the strongest reaction ever,” Glaser said. The U.S. Navy routinely conducts such FONOPS in the South China Sea. Afterward, Chinese government officials typically issue statements expressing varying degrees of outrage over the FONOP. Wu’s statement described the incident as one where a Luyang-class destroyer carried “identification and verification procedures in accordance with law, and warned the U.S. vessel off.” It did not mention how close the two ships came. Photos obtained by gCaptain show just how close the two ships came to colliding. 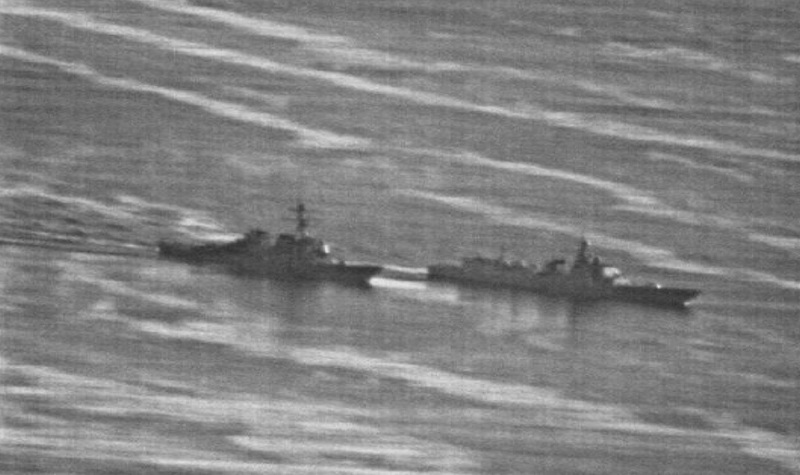 Arleigh Burke-class destroyer USS Decatur, left, and Chinese warship PRC 170, right, during what the US Navy called an unsafe and unprofessional incident in the South China Sea on Sept. 30, 2018. 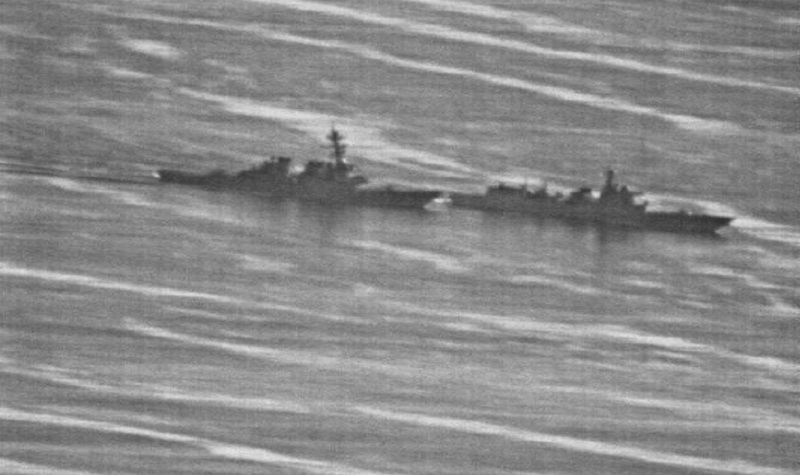 After the Chinese ship came within 45 yards of Decatur, the US destroyer maneuvered to avoid a collision. US Navy photo, obtained by gCaptain. But why the change, especially after this FONOP – which had Decatur passing within 12 nautical miles of a relatively unremarkable reef, that is considered to meet the definition of having territorial waters? The reason for China’s more aggressive stance likely has more to do with unhappiness about other recent interactions with the U.S., Glaser said. There are tensions surrounding trade tariffs and a military arms deal between the U.S. and Taiwan. “The only way I can understand this is the Chinese decided to use this opportunity to send a signal to the Trump Administration, and this is to me evidence that the tensions in one area are spilling into another area,” Glaser said. The Chinese ship did not approach until Decatur was ending its FONOP and heading out of the 12-nautical mile zone around the reef, Glaser said. Decatur maneuvered away from the Chinese ship and headed out to sea. But, if the Chinese ship approached Decatur at the start of the FONOP, Glaser said the entire incident could have played out very differently. Decatur’s captain would have faced a set of issues, such considering the optics of scrapping the FONOP and looking as if the U.S. backed down from the Chinese ship. At the same time, Glaser said Xi Jinping doesn’t want to be seen as weak either.